In the wake of the financial crisis, many brand-name financial institutions had destroyed the trust and squandered the savings of millions of Americans. In 2010, it was clear to Ross Gerber and Danilo Kawasaki, industry veterans and long time friends, that a new paradigm for wealth and investment management was not only needed, but that they were the people to do it. With offices in Santa Monica, CA and San Francisco, CA and over $800 Million in assets under management as of 7/4/2018, Gerber Kawasaki is an independent investment advisor committed to building long-standing relationships throughout every phase in a clients' life. Unlike many financial advisors who only seek out high net worth investors, Gerber Kawasaki has a solutions for experienced investors seeking independent advice or first time investors looking to build a financial plan. We offer two financial planning programs: Wealth Building is most often geared at younger individuals and their families, aged 25-45, who are seeking advice and investments which will grow their wealth and help them pursue their unique life goals. Wealth Management is aimed at more affluent clients and investors seeking customized portfolio management and financial planning. The firm serves more than 5000 families across the country. 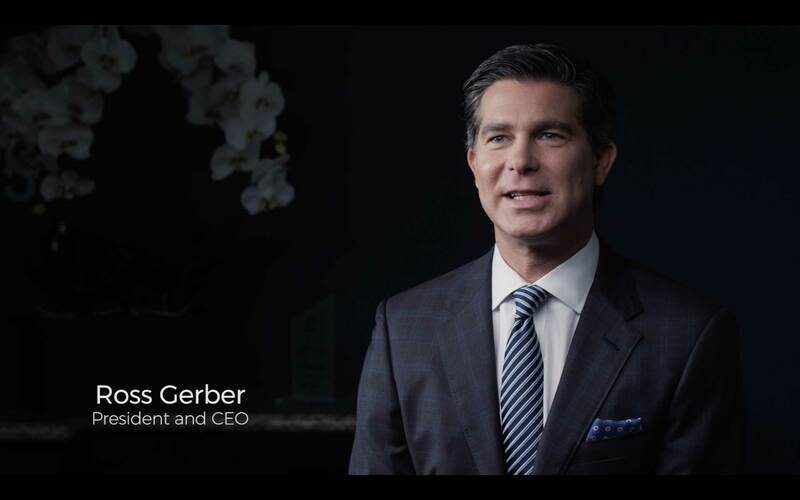 Our CEO, Ross Gerber, is one of the most prominent investors around the globe followed by tens of thousands of investors on social media and a frequent guest on CNN, CNBC, Fox Business News, and Reuters, as well as a contributing writer for Forbes.com. Ross is featured in the media as well as in the foreign press on an almost daily basis discussing the firm's expertise in technology, media and entertainment companies. COO Danilo Kawasaki is also ranked as one of the top 40 financial advisors under 40 according to Investment News 2018 rankings. Publications such as The Wall Street Journal, Washington Post, Marketwatch and many more have sought out the founders of Gerber Kawasaki, not only for their investment acumen and market insight, but to profile the unique experience and level of innovation the company offers the families it works with. We believe the best way to serve our clients is by leveraging technology to improve the client experience and investment results. Even though technology in our industry has greatly advanced over the years, we believe that ultimately humans with decades of investment experience should be managing your money, with the assistance of technology. We keep our clients informed through social and traditional media, we communicate with our clients nationwide by phone, email, video chat or best yet in person. We have a developed our own dedicated app, my moneypage, so you can have all that is important right on your phone. We manage your money with advanced quantitative analysis to assess risks and better position our portfolios to maximize opportunities while attempting to lower overall risk levels. Our highly complex portfolios are designed and overseen by our investment committee but rigorously tested through risk analysis. We believe in leveraging technology without losing the human insight and experience that only a experienced investment advisor has. Gerber Kawasaki believes that diversity is one of our greatest strengths. Being based in Los Angeles, CA, one of the most diverse cities in the world, we take the stance that to effectively serve the community, we must represent it. We know that many of our clients feel more comfortable communicating in their first language, especially when it comes to discussing money. Investing in US stocks is key to building wealth no matter where you are from. Feel free to contact us to review your financial situation in your home language. Gerber Kawasaki advisors speak 8 major languages and we have US based clients from all over the world.